With over 100,000 copies being distributed, the new Royal Rider is likely the most circulated Motorcycle Magazine in Canada. Check out this article that I wrote! 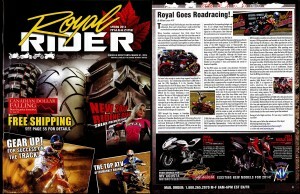 Contact Royal Distributing and ask to be added to the mailing list to receive a free copy today.